Note: If you would like a cabinet to allow the dispenser to stand alone, it will be an additional $290. 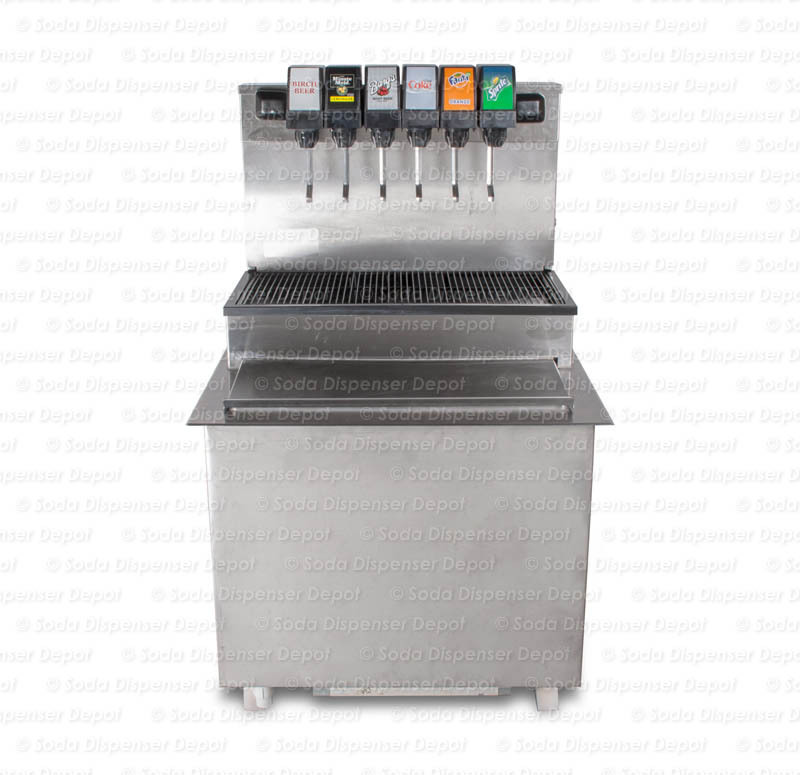 REMANUFACTURED six (6) flavor drop-in soda fountain system (holds approx. 80+lbs. of ice). Ice bin has built-in cold plate. This method of cooling is very efficient and easily maintains product quality during high demand. We have set this system up to dispense six (6) flavors. Buyer has choice of flavor selection. 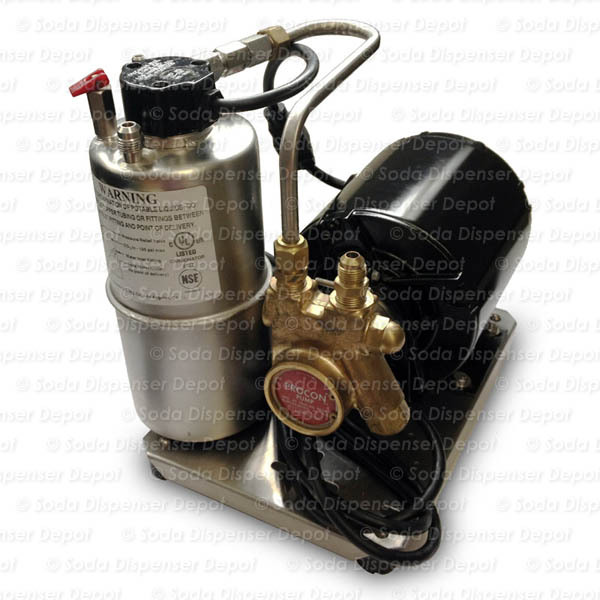 The system will come with push button or lever valves depending on our inventory. 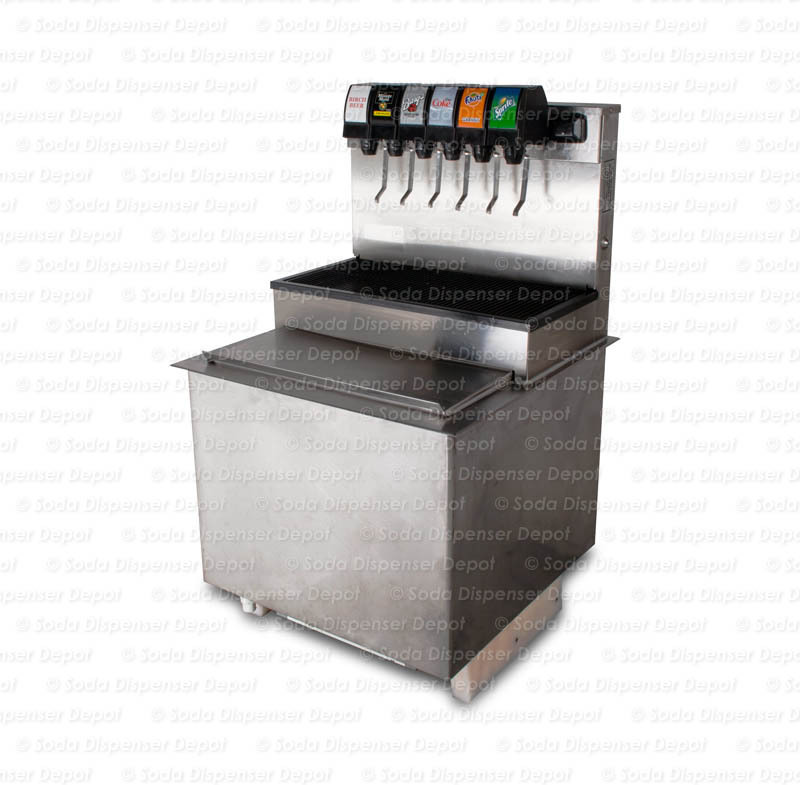 This drop-in dispenser is an eight (8) head machine that has been set up for six (6) flavors. So, if at some point in the future you think you might want to have eight (8) flavors, that option is open to you. Of course, you would need additional valves, pumps, tubing, etc., to do that. 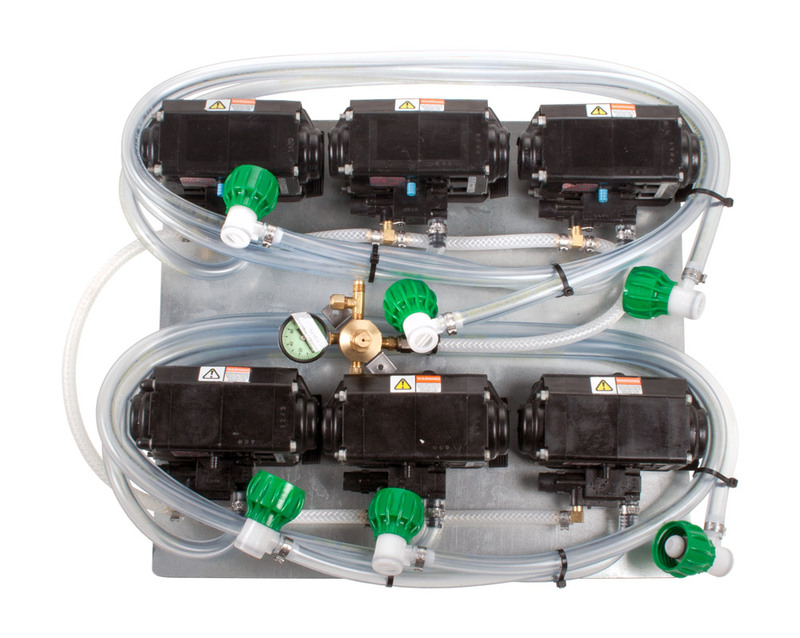 Also included: Primary and Secondary CO2 regulators, high pressure hosing, carbonator, six (6) syrup pumps with mounting board, BIB hose and BIB connectors.